A lot of the FAeries live in a Grand Old Oak tree in Alifen Wood Hollow. The Grand Old Oak tree has stood there for thousands of years and has, therefore, become a very Wise Old Oak tree. It is the oldest and wisest Oak tree in the entire Enchanted Forest. The Grand and Wise Old Oak tree loves all of the magical creatures in Ailfen Wood Hollow, but particularly the FAeries, because the Faeries are always flying in and out of the Grand and Wise Old Oak tree, keeping her occupied and amused, and telling her of their visits to the Prince Dryden Elf. The FAeries have even come to call the Grand and Wise Old Oak tree by name; they call her Wise Old Sugarfoot. 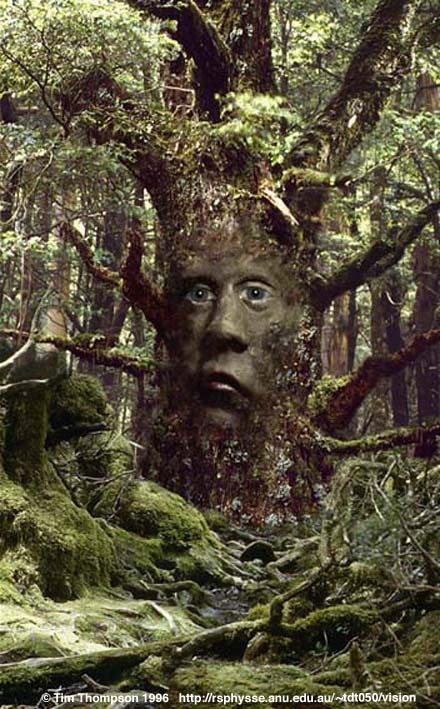 And the Grand and Wise Old Oak tree, Wise Old Sugarfoot, has heard all about Prince Dryden Elf. She is so anxious for the day that Princess Christian and Prince Jeremy can bring the baby Prince Dryden Elf to see her. Some of the graphics and backgrounds on these pages were created by Bexboomer Creations. or sign my guestbook to let me know, so that I can be excited! Content � 1997 1998 1999 by Bexboomer Creations. All rights reserved.